Obituary for Robert J. Cook | James C. Stump Funeral Home Inc.
Robert J. Cook, 82, of Belle Vernon/Washington Township, went to be with the Lord on Monday, January 21, 2019 surrounded by his loving family. Born in Charleroi on May 15, 1936, he was the son of the late Robert J. and Emily J. Cook. Bob was a 1955 graduate of Rostraver High School and Pittsburgh Institute of Aeronautics. 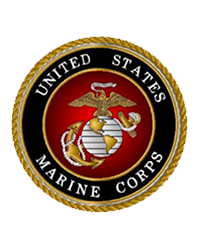 He served in the United States Marine Corp Reserves. Bob retired from USAir in 1998 after 32 years. Bob was a member of the Christian Missionary Alliance Church in Fayette City, where he served as a trustee, an usher, and helped with the food bank. He was a founding member of the Rostraver Township Historical Society, where he served as an officer and on many committees. He was the sixth generation of Colonel Edward Cook. He, along with his wife, was the proud owner of the Cook House, which he restored and resided in up until the time of his death. He is survived by his wife, Marlene L. (McMinn) Cook whom he married January 25, 1960; his children, Kim Lavrinc and husband Eric of Penn Hills, Todd Cook and his wife Nelia of Washington, Becky Veschio and husband Bill of Belle Vernon, Bob Cook and Mark "Cookie" Cook, both of Belle Vernon; grandchildren, Tyler Lavrinc, Wesley Lavrinc and fiancee` Danielle, Lyndsey Lavrinc, Liana Lavrinc, Tom Cook and wife Alex, Courtney Cook, Kaitlyn Cook, Bill Veschio, Marla Harvey and husband Lee and Cody Veschio. In addition to his parents, he was preceded in death by his sisters, Letty Lou Thomas, Emma Jean Mellett and Louise Smith. FAMILY AND FRIENDS WILL MEET on Friday at 10 a.m. in the Christian Missionary Alliance Church, 211 Connellsville Street, Fayette City, where a Funeral Service will be held with Pastor Paul Cope officiating. Interment, with Military honors, will follow in Rehoboth Cemetery.